Quality cocktails? Well why not? You’re planning on a special celebration after all, aren’t you? Our aim is to make sure that we offer you and your guests a great range of quality cocktails. We learn our stuff, and experiment with new ideas and rework old ones. That way we know we can offer you a range of cocktails which will suit the majority of your guests. This is part of the reason we like to provide all the drink. We want to make sure the quality lives up to ours and your expectations. We love our Monin syrups. They’re unusual and allow us to make cocktails with fantastic ingredients : cherry, lavender, rose, apricot for starters. And we use Rubicon fruit juices. 100% pure fruit for our mango and lychee cocktails. And that’s just the mixers! Quality cocktails at your place? We work with Absolut vodka in our Cosmos, and Havana Club for our Mojitos. We’re always on the look out for new products too. Lanique rose liqueur is a recent fine. Now, it often appears on the menu. Great products without breaking the bank. We also have our ‘cabinet range’ of super-premium products available too, for that extra-special party where you want to push the boat out with fabulous food and drinks. Let our previous customers do the talking, see what they say here. 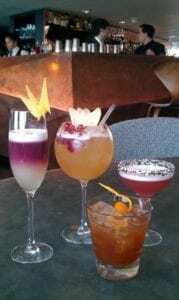 If you want cocktails on your menu for your forthcoming party or special event, give us a call. You can contact us on 01858 898154 or by filling in our enquiry form here. Cocktail Shaker Boys can be found regularly mixing it up in and around the East and West Midlands. We’re in Birmingham, Solihull, Coventry, Rugby, Lutterworth, Market Harborough, Northampton, Kettering, Corby, Wellingborough, Peterborough, Oundle, Loughborough, Melton Mowbray, Oakham, Uppingham, Rutland, Leamington Spa, Nuneaton, Kenilworth, Hinckley as well as wider parts of Leicestershire, Northamptonshire and Warwickshire.